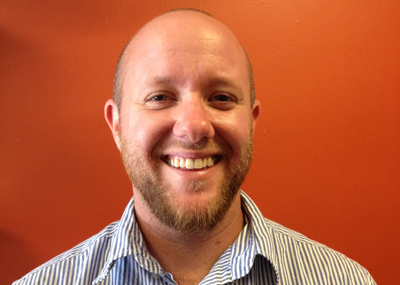 The BAC welcomes the new Interim Director of Design Computing, Aiden Ackerman. Aidan's professional and academic work has focused on the intersection of computer technology and the design process. He graduated from the Harvard Graduate School of Design with a Masters Degree in Landscape Architecture. He possesses an undergraduate Fine Art degree from Alfred University, as well as seven years of work experience in the field of information technology in the San Francisco Bay Area. Professionally, he has worked at the Harvard / MIT Data Center; as well as having been appointed the position of Teaching Fellow at Harvard. While at Harvard, he was also awarded the Penny White Traveling Fellowship, and presented his work at the MIT Planners Network Research Salon. Aidan has a thriving design practice, working as a 3D modeler and render for landscape architects, architects, and property developers. In addition to his design work, Aidan teaches in the Department of Landscape Architecture at Boston Architectural College; he simultaneously holds the position of Design Instructor at ArtScience Labs in Boston.